My NEW book about my Croatian photographic Journey. A photographic Journey through southern Croatia at Korčula & Orebić. Available here at the Shop and as hardcover or ebook at Amazon and at Blurb. Also available at the iBook Store from Apple. 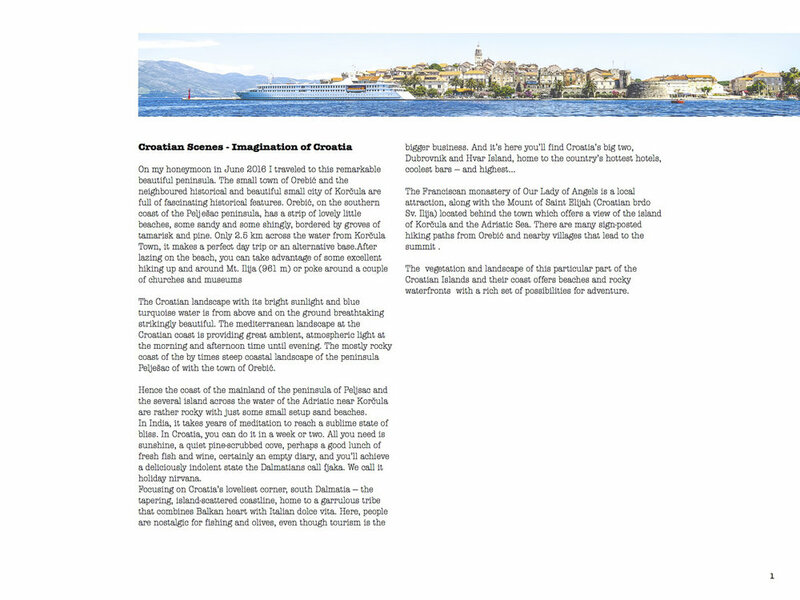 eBook of a photographic Journey through southern Croatia at Korčula & Orebić. On my honeymoon in June 2016 I traveled to this remarkable beautiful peninsula. The small town of Orebić and the neighboured historical and beautiful small city of Korčula are full of fascinating historical features. Orebić, on the southern coast of the Pelješac peninsula, has a strip of lovely little beaches, some sandy and some shingly, bordered by groves of tamarisk and pine. Only 2.5 km across the water from Korčula Town, it makes a perfect day trip or an alternative base.After lazing on the beach, you can take advantage of some excellent hiking up and around Mt. Ilija (961 m) or poke around a couple of churches and museums. The Croatian landscape with its bright sunlight and blue turquoise water is from above and on the ground breathtaking strikingly beautiful. 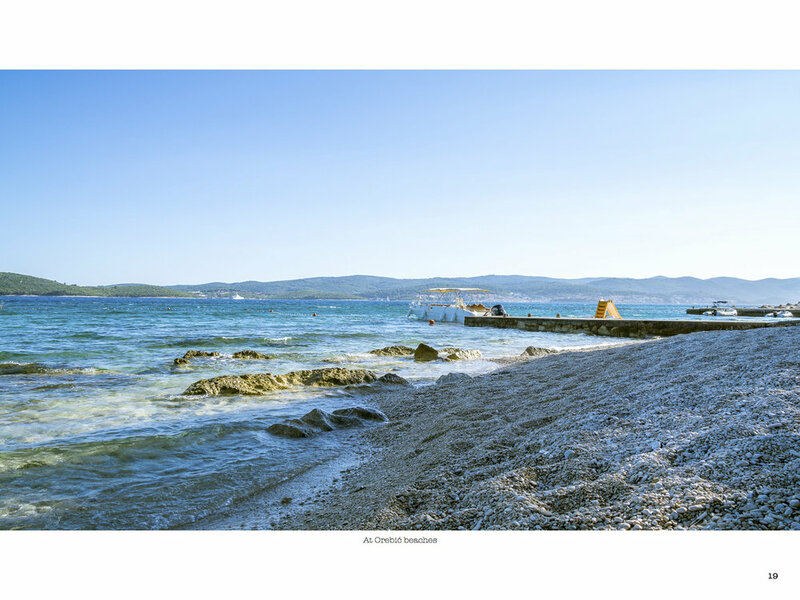 The mediterranean landscape at the Croatian coast is providing great ambient, atmospheric light at the morning and afternoon time until evening. The mostly rocky coast of the by times steep coastal landscape of the peninsula Pelješac of with the town of Orebić.